Secondhand Clothes…To Sell or Not to Sell? Over the years I’ve found some fabulous clothes, both vintage and not, in thrift stores and estate sales. A few things I’ve bought for myself, but mostly I buy them to resell on Etsy or eBay. And I love shopping for them. It’s a great adrenaline rush looking through a rack of ho-hum jackets and finding a classic vintage Pendleton or a super designer piece or one made with amazing fabric! This photo is from Green Lifestyle Market. Worth a look! But truth be told, I find selling clothes online a tedious business. You have to go over the item with a magnifying glass to spot any defects (which then have to be listed). You have to take meticulous measurements. Ideally you have to have a model/mannequin to display the item to best advantage. You have to take a lot of photos. Sometimes you may need to wash the item or iron it before taking photos. And clothes are more prone to being returned, as you might expect. I wouldn’t mind all this so much but clothes are slooooow sellers for me. I know when I buy an item that I’m likely going to have to store it for a long (long) time and I don’t have a lot of storage space. In fact it’s very limited. But renting a storage space just wouldn’t make financial sense right now. So I’m a tad frustrated right now because I know some people financially support themselves selling second-hand clothes and shoes! They have a booming business. Which begs the question, what am I doing wrong? Are my items too vintage? Too out of vogue? Fugly? Oddly sized? Unappealing colors? Priced too high? Not getting enough traffic? All of the above? Take this Italian designer leather jacket for example…perhaps folks consider the ’80s/’90s styling meh! Or the color too…well too green! I don’t know. The weird thing is that if I saw this jacket today at Goodwill, I would still buy it. It’s a quality piece made of soft leather in beautiful condition and I think it’s adorable. But it’s been in my Etsy store a while. So I’ve been thinking maybe I should stop selling clothes altogether. Leave that to others. Stick with jewelry, pottery, ephemera and other bits. Smaller bits! Seems like a good idea. But I’m not sure. Just yesterday I was at Goodwill and found a sweater that had just been put out and couldn’t resist buying it. Mind you I wasn’t even looking at clothes, but it jumped out at me as I was passing by! 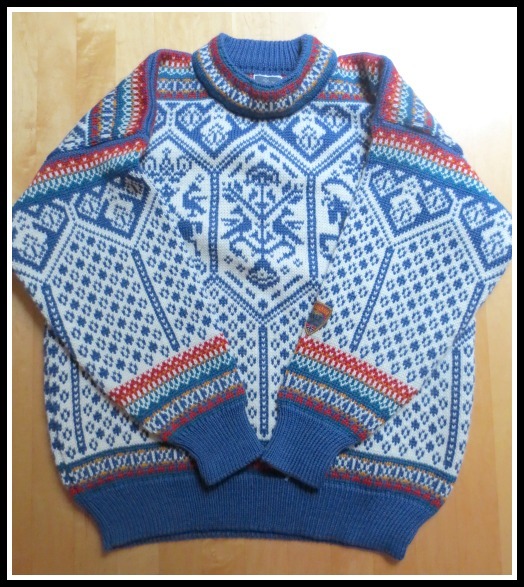 Could you resist a beautiful Dale of Norway wool sweater in fabulous condition? So I bought it even though I have four ski-type sweaters in my shop right now! A couple that I’ve had for a long while. Oh jeez. Well, after much thought, I’ve decided I’m not going to totally close my doors to selling clothes but I’m going to readjust and limit my focus. 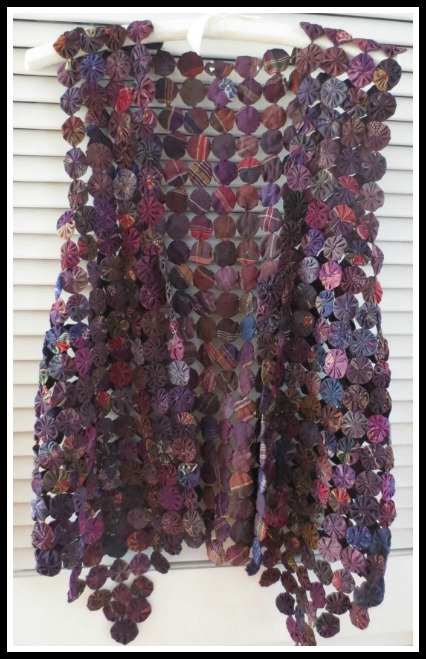 Sell the newer pieces to ThredUp to hopefully recoup some of my cost. Get all remaining unlisted items listed. Adjust prices to be more competitive/attractive to buyers. Only buy an item of clothing if it is a stellar vintage piece in stellar condition. If you sell second-hand clothes how’s your business going? Do you have a clothing niche?? If you buy second-hand clothes for yourself, what are the types of items you look for?? 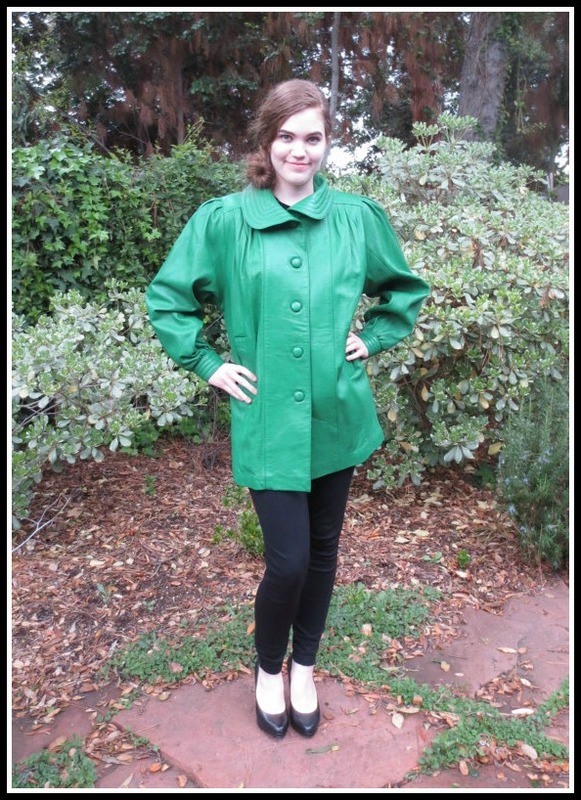 Those who sell vintage clothing claim that won’t work, so they use inches, which drives me crazy. Even the size charts for new clothing don’t always match me – I go by the size I would buy in a store and it’s almost always correct. The only time I ever bought vintage clothing was a jacket for an 80s party. The seller said it would fit a regular size 10 and I took a chance – it was perfect. I’d love to know what others think! Hi Sara. Thanks for sharing your thoughts. Sizing is sooo tricky. Vintage sizes definitely run smaller than modern sizes, but sizing between modern brands varies so much that it’s hard to say what would fit a “regular size 10.” Personally I wear different sizes depending on the company and brand. That’s why most sellers (like me) are more comfortable giving measurements. But perhaps we are losing out on customers this way! You have some nice items. I’ve found vintage items to be a challenge, too. In our area we generally only have “old lady” vintage items, but every once in awhile my daughter finds things she gets for next to nothing. Sometimes I’ll sell things she wants to get rid of, but I sure don’t have “the eye”.